The Orbital 2 was developed to act as a solution for digital artists, graphic designers, videographers, illustrators, and all creative people, accelerating creative work and minimizing the need for time-consuming technology. 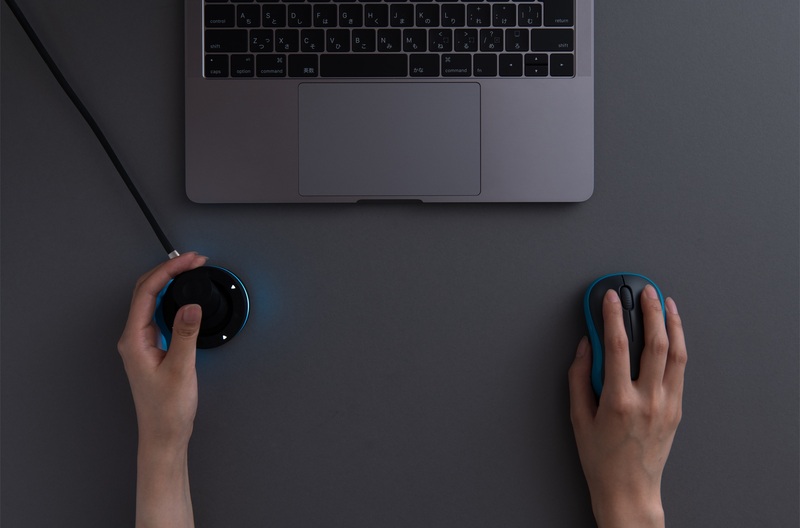 Today Tokyo startup BRAIN MAGIC launched a Kickstarter campaign for the Orbital 2 (O2) Creative Pod, a next generation creative controller that features over 200 commands in one joystick device. It was designed to enhance workflow and complements an ordinary keyboard for digital drawing, illustrating, movie editing, photo editing, and more. It is compatible with Mac and PC and is now available for the early bird price of ¥31,000 (Japanese Yen). The Orbital 2 was developed to act as a solution for digital artists, graphic designers, videographers, illustrators, and all creative people, accelerating creative work and minimizing the need for time-consuming technology. The patented joystick fits comfortably into a user’s hand for intuitive control, is operated with minimal hand movement, and streamlines work. The O2 is compatible with Adobe Creative Suite, Avid, Clip Studio Paint, and MediBang Paint (+) and has been tested by digital artists who have worked on projects for Marvel, Disney, the Star Wars franchise, and the Harry Potter films. It includes many easy-to-use functions for creators, including single keystrokes or simultaneous pressing of multiple keys, program macro, text block for frequently entered text, mouse functions, key rotation and profile switching. The O2’s magic is in its three major components. The device’s orbital engine combines the motions of three controllers, a joystick, dial, and button, in one to make adjusting multiple parameters a seamless process. Users can assign eight different dial functions that are accessed based on the direction the joystick is tilted. It has a flat ring interface that consists of eight switches which users can register multiple functions to and assign items to an on-screen menu overlay. The result is that large command inputs can be carried out with the smallest of movements. 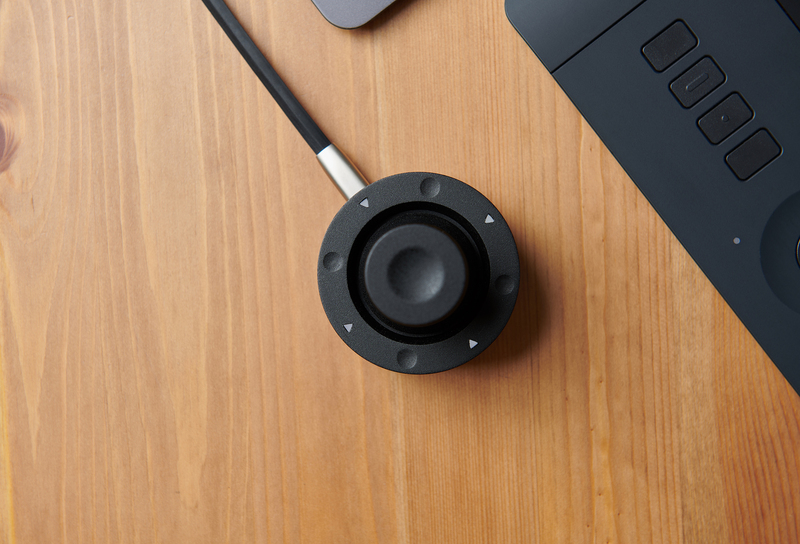 The switches use ultra-lightweight sensors that provide feedback to your fingers with reassuring clicks as you work. Finally, a full-color RGB LED light glow ring indicates which application profile. The O2 offers up to 50% faster completion time on standard tasks, leaving more time for moments of creative genius, favors natural working postures, potentially lessening the risk of cramps and back strain, and provides the convenience of a single device for creators working for hours on end with one single home position. The Orbital 2’s expected delivery date is January 2019. For a full rundown of pledges, visit their Kickstarter page. Media wishing to interview their personnel should contact PR agent, Jackson Wightman at +1 (514) 605-9255.